Palm oil output in Malaysia, the world’s second-largest producer, typically peaks in the third or fourth quarter of the year before tapering off during the year-end. 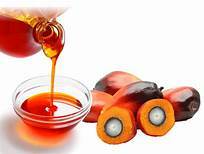 Production levels rose 14.4 per cent in September at 1.85 million tonnes, according to data from the Malaysian Palm Oil Board. The output was its strongest in 10 months and its highest September levels since 2015.
but, in front of weather concern, Japan metrological updated that probability of El-Nino event by end of winters increased by 70% form 65% earlier while Australia metrological also agree with 70 % chance of El-Nino at the end of the year. However, last El-Nino year was in 2015-16 and alert has been issued in April 2015 and it peaked in Nov 2015. Overall En-Nino can increase in the concern for palm oil production and may support the market.